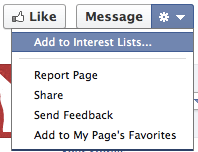 In a previous blog post, I wrote about how Facebook Interest Lists may change the value of Like. There’s actually another change that Facebook has slipped in with Timeline for Pages and Interest Lists: The Liked button. Previously, once you liked a page, the Like button simply disappeared. But now that there’s a Liked button, there is actually functionality behind it that can go unnoticed. From the user’s point of view, this is more power. 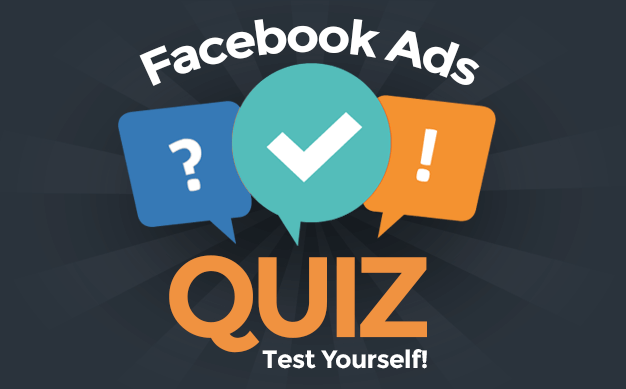 Before, you just Liked a page and your News Feed was theirs. 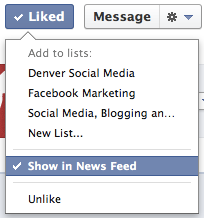 Now, you can add to an Interest List or you can Like and remove that brand from your News Feed entirely. While this was possible before, the getting to that option wasn’t so convenient. For brands, we still have to see how this plays out. Easy access to remove your page from a user’s News Feed probably isn’t good. But how this feature and Interest Lists impact marketers depends entirely on how users end up using the tools. It could be good, it could be bad or it could be a shell game where we’re just moving things around. We’ll see. Did you notice the new options under the Liked button? What do you think? Oh, and if you have the Settings option, let me know what it does!